Dr. Rafat Abonour of the Indiana University Simon Cancer Center started Miles for Myeloma 7 years ago to raise awareness of multiple myeloma, a rare blood cancer. Each year, Abonour and a team run and/or bike across parts of Indiana. In October of 2011, Abonour and a team of about 20 riders biked 200 miles from Jeffersonville, Ind. to Indianapolis, Ind. in two days. 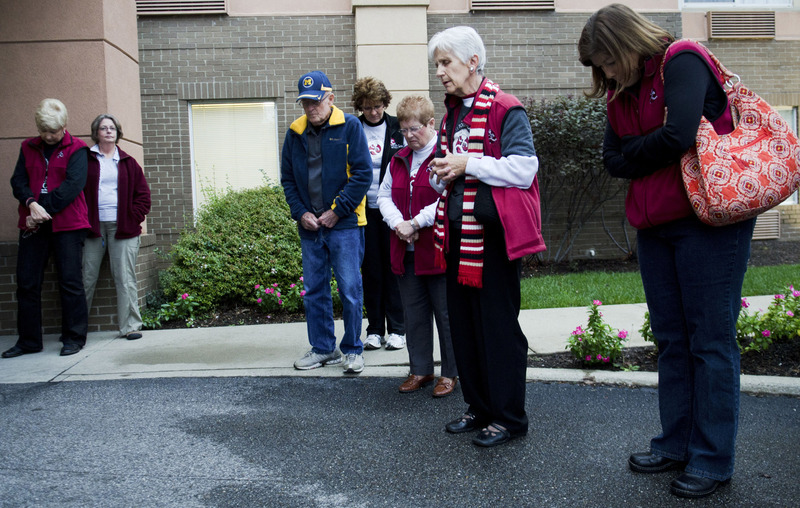 Arlene Scheer says a prayer before the start of Miles for Myeloma 2011 on Friday, Oct. 21, 2011 in Jeffersonville, Ind. Scheer lost her husband to multiple myeloma in 2007, and since then has been one of the project’s strongest supporters.